(PRLEAP.COM) Gunnar Gunderson, age 32 and a top physics professor at the University of Wisconsin, Madison, specializes in quantum physics and now love, thanks to the novel "Love at Absolute Zero." While Gunderson may be a fictional character, readers are finding there's truth in his obsessed and crazed scientific journey into romance. In fact, the book became #1 in Inspirational Romance on Sunday, and #4 in Literary Humor. It landed #72 in overall sales for the Kindle reader, and #33 on Nook. The novel is, "Laugh-out-loud funny!" says Darcie Chan, New York Times bestselling author of "The Mill River Recluse." Physicist Gunnar Gunderson sets out to find his soul mate in three days using the scientific method — until his collision with a visiting Danish schoolteacher unleashes delightful chaos. The rise to even temporary bestsellerdom is amazing for a novel that had early publishing challenges. Agent Jim McCarthy at Dystel and Goderich in New York had found much enthusiasm from three editors at big publishing companies. Yet the book was ultimately turned down because "the marketing departments didn't know how to market it," says Christopher Meeks, the book's author. "They said a novel with science was a challenge to explain." Now, the book is finding its readers, as can be seen by its sales and customer reviews. As Gincam says on the Barnes and Noble page for the book, "With some books, you can sense in advance that you are in for a reader's treat, that you will be taken outside your normal reading zone and sent on an involving and entertaining journey through words. 'Love at Absolute Zero' by Christopher Meeks is just such a book. I knew that I would love the hero, Gunnar Gunderson, and that I would be captivated by his adventure of self-enlightenment. What I didn't know, since this was my first read from Chris Meeks, was that the author would blow me away with his skill as a storyteller." Meeks, who had once been a senior editor for a publisher, had already started his own publishing company, White Whisker Books, for his short fiction, which his first agent in Los Angeles wouldn't represent. White Whisker Books now publishes four authors with two more to be added soon. 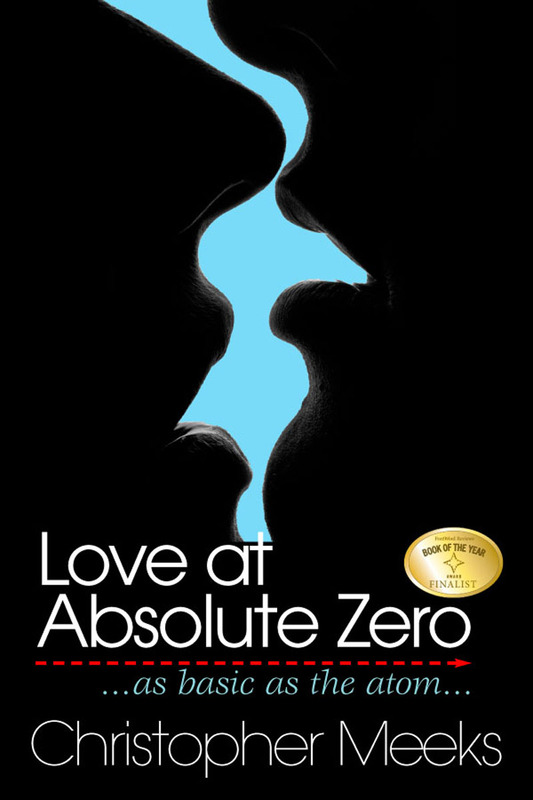 "Love at Absolute Zero" became published through White Whisker. "I wrote the novel over the course of five years," says Meeks, "obsessing over how to include science in an easy-to-grasp way. That's a challenge with quantum mechanics — but love is just as mysterious, so the two go together brilliantly. I received a lot of help from real physicists, including Dr. Nils Anderson, the director of the Niels Bohr Institute in Copenhagen, and Dr. Mark Saffman, a physicist at UW. Gunnar is a great guy. People will love him. His quest eventually takes him to Denmark, where physics and love intermingle." The novel is distributed by Ingram and available in bookstores, libraries, and in eBook form for Kindle, iBooks, Nook, and other devices. Meeks's next novel, "A Death in Vegas," comes out in July. It's a very different novel, he says, yet it has another obsessive quest and an ear for the unusual, which his fiction is known for. For more information, call White Whisker Books at 323-344-7132 or email author Christopher Meeks at chrismeeks@gmail.com. For the White Whisker Books website, click here.